I luv lamb, especially grilled or barbequed and it works well with the mushroom and i served it with my "rainbow salad" i had leftovers from the previous night. Flavours fused very well. 1. Marinade lamb with oil, garlic, zest and S&P. let it marinade for 5-10 mins 2. For the mushroom clean with a paper towel and smother some oil on that. 3. Heat grill on med-high. Cook lamb 2 mins each side and remove onto chopping board and let it rest. Meanwhile grill you mushroom, about a minute on each side. 4. 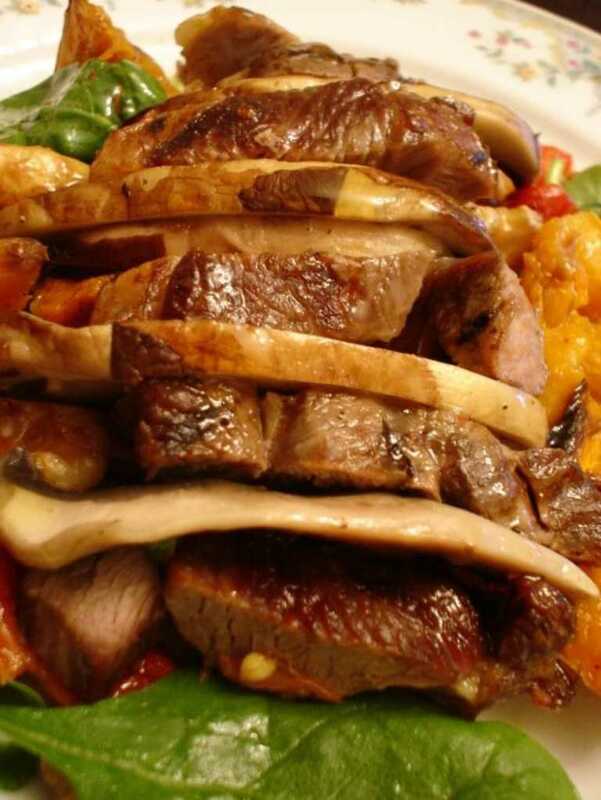 Carve lamb and mushrooms about 1cm thick and insert the mushroom in between the lamb and serve on plate.